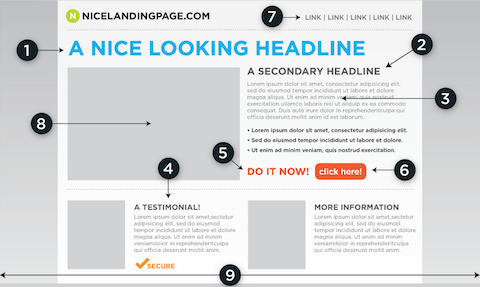 A Landing Page is a page designed with a very targeted “call to action” in mind. This call to action could be something as simple as clicking on a specific link, purchasing a particular product or service or simply enticing the user to fill out a lead capture form with their contact information. Landing pages can be especially useful when running email marketing campaigns, allowing you to send a specific segment of your email list to a page that is specifically targeted for that particular group’s interest. This is why Landing Pages are typically designed for a single call to action duty and can be a great help in both lead generation and conversion optimization. It is ctitical that your landing page copy matches your marketing strategy – email marketing, PPC, and even SEO. Your marketing copy should always convey a similar message. 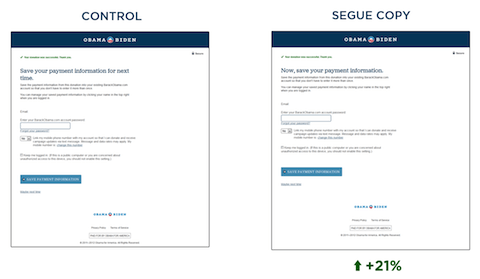 During the 2008 election, the Obama Campaign analyzed their landing pages heavily. And in one campaign, they discovered that headlines related to previous campaigns, had an increased conversion rate by as much as 21%. We're here to help you get the most for your dollar. Let us help you with your landing page design needs.